ASCO solenoid valves provide comprehensive fluid control and automation solutions for commercial, industrial and hazardous area flow control applications. ASCO manufacture over 50,000 solenoid valves ensuring flow control for power generation, biofuels, life sciences, food and beverage, petroleum, chemicals, water, manufacturing and HVAC markets. 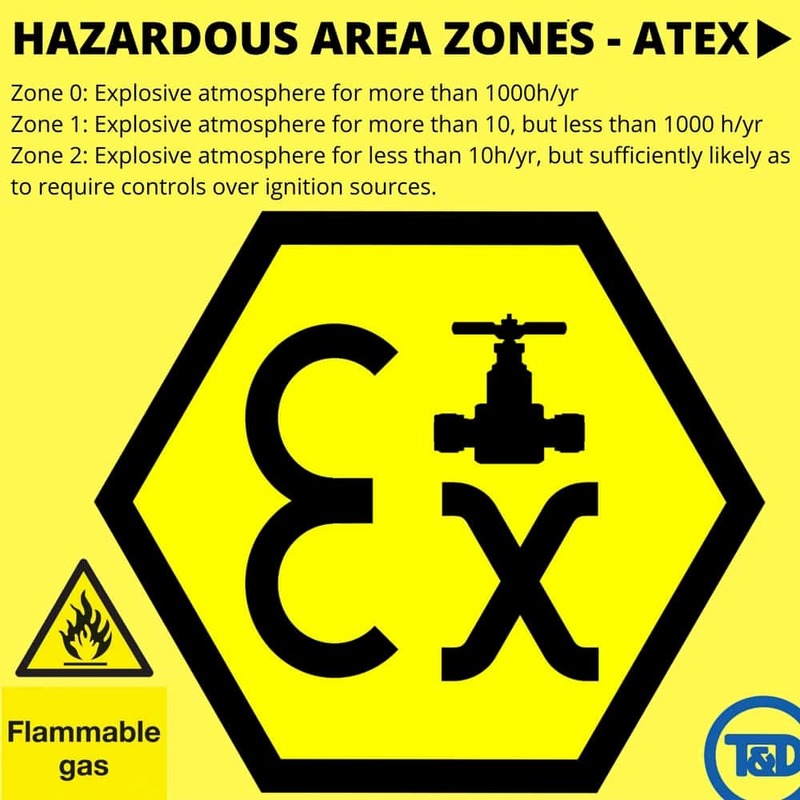 Specialist hazardous area valves for locations where certification to ATEX Directive and IECEx classification is required to ensure safe use in potentially explosive atmospheres are available – SIL3 Capable, NACE Compliant and NAMUR Compliant valves are ready to ship. 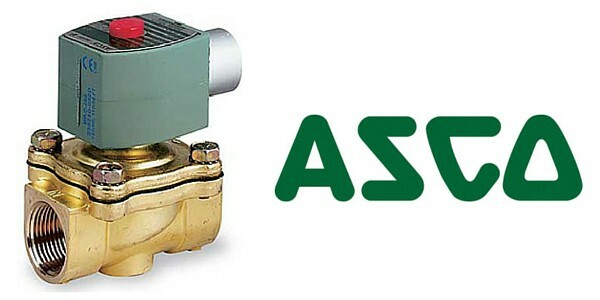 Contact us today to discuss your ASCO solenoid valve requirements. 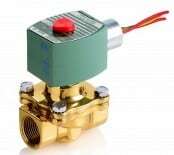 What Are asco Solenoid Valves? ASCO solenoid valves are used for the control of water, oil, air, or gas and typically consists of an operator and valve body – the solenoid operator consists of the coil, core, core tube, shading coil and spring. The valve body is made up of orifices where a disc, piston or diaphragm is positioned. When an electrical current passes through the solenoid, a magnetic field is created which pulls the core into the open or closed position. ASCO provide a range of solenoid valves including direct operated, pilot operated and pressure operated which can be configured in 2 way, 3 way, 4 way or 5 way arrangements. 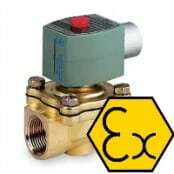 ASCO Valves: SIL3 NACE ATEX NAMUR Compliant. ASCO solenoid valves can be supplied by Thorne & Derrick for all media types: Air, Carbon Dioxide CO2, Combustible Flammable Gas, Cryogenic Fluids, Gas, Fuel Gas, Inert Gas, Liquid (Hot & Cold), Oil, Steam, Water, Superheated Water. 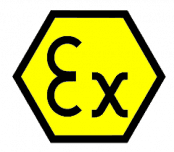 SIL3, NACE, ATEX, NAMUR and Ex d Flameproof certified valves are available. For expert technical support in Hazardous Area Valve & Solenoid Operator selection, just call T&D. T&D are ♦ ASCO Approved Channel Partners ♦ – we distribute the total range of ASCO solenoid valves and support their product range with expert technical advice, fast ship access to 2000+ valves and we provide flexible payment options for non-account holders. ASCO Valves – 2000+ Products, Same Day Shipping To UK & Overseas. Three way solenoid valves have three pipe connections and two orifices. These are commonly used to alternately apply pressure to and exhaust pressure from the diaphragm operator of a control valve, single acting cylinder or rotary actuator. Normally Closed – when the valve is de-energised the pressure port is closed and the cylinder port is connected to the exhaust port. When the valve is energised, the pressure port is connected to the cylinder port and the exhaust port is closed. Normally Open – when the valve is de-energised, the port will be connected to the cylinder port and the exhaust port is closed. When the valve has been energised, the pressure port is closed and the cylinder port is connected to the exhaust port. 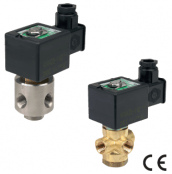 Universal – this allows the valve to be connected in either normally open or closed position in order to select one of two fluids or to divert flow from one port to another. Position A – the pressure is connected to one cylinder port, the other is connected to exhaust. Position B – the pressure and exhaust are reversed at the cylinder ports. Hazardous area valves are suitable for a variety of applications. When operating in hazardous areas, fluid automation technology must operate without error in these challenging environments. 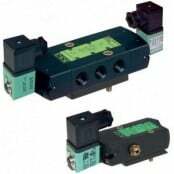 Solenoid valves must comply with the strictest regulations in order to be used in Zone 1 and Zone 2 hazardous areas. 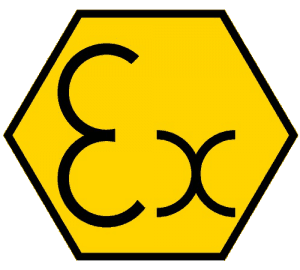 ASCO can offer a variety of explosion proof, hazardous area solenoid valves that comply with ATEX and IECEx directives. ASCO pilot valves cover international standards and approvals with technical specifications for a complete range of 3/2, 4/2, 5/2 and 5/3 solenoid valves and valve manifolds – major protocols are included such as DeviceNet, Profibus DP, Ethernet/IP and Profinet. Hazardous Area Valves Selection Guide For Process Industries. 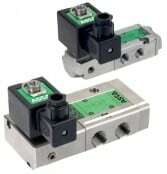 ASCO 327 solenoid valves are certified by ATEX, CUTR and IECEx. 327 solenoid valves are specified for a variety of upstream and downstream flow control applications including actuator piloting, compressor unloading and utilities control – corrosion and vibration resistant, lower power consumption and various explosion proof solenoid operators available. NACE Valves – suitable for both onshore and offshore upstream oil and gas with international hazardous area certifications. ➡ For complete specifications, technical data and ordering information about ASCO Solenoid Valves please refer to the product sections below – should you require any technical support please do not hesitate to contact us.